The "Cape Fear Station" community is a collection of homes and estates with a variety of settings from oceanfront locations tucked behind the sand dunes to wooded sites that are virtually hidden beneath the towering oaks of the maritime forest. All of these properties are interconnected via a series of sidewalks, which also run adjacent to and through the Cape Fear Station Common. The community, as well as the common itself, is named after the original lifesaving station which once stood along Bald Head Island's East Beach. The station is long gone, however the properties here have their own style and architectural attributes that make them fit in easily with the southern scene. 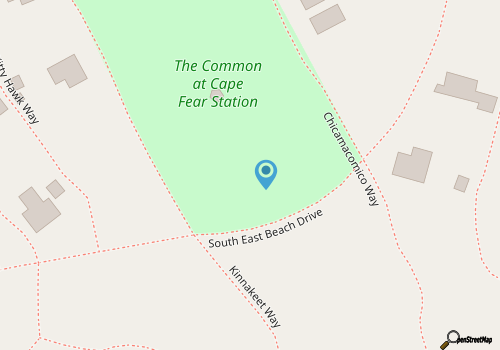 The Common at Cape Fear Station is a long parcel of undeveloped land that is bordered to the west by Kinnakeet Way and is bordered to the east by Chicamacomico Way, two roads that are coincidently enough named after historic lifesaving stations of the Outer Banks. 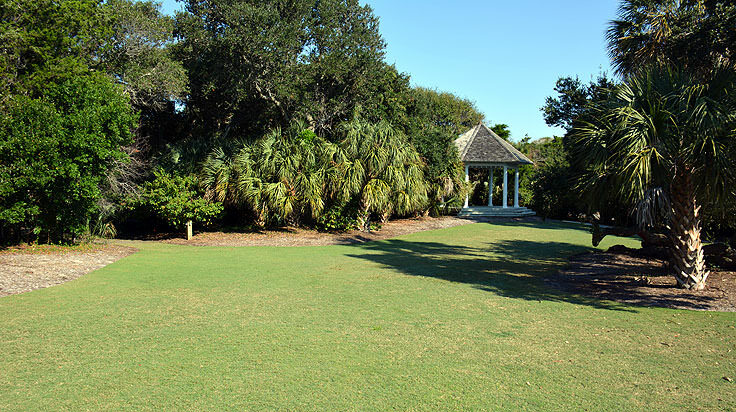 A shaded walking path runs through the common, mostly covered by a canopy of trees overhead, and in the heart of the park is a wide grassy area, idea for a game of Frisbee, catch, or a little off-the-beach sunbathing or relaxation. While the common is most likely to be encountered accidently by neighborhood residents and vacationers out for a rambling stroll, the area is perhaps best known by frequent Bald Head Island visitors as an extension of the elite oceanfront Shoals Watch Club. The common is a satellite location for a number of the club's regular and holiday events, including kid and teen day camps, seasonal outdoor concerts, and even Easter Egg Hunts in the spring. Virtually any time of year is bound to have a few fun activities happening at the Common at Cape Fear Station, and visitors are encouraged to check out the Shoal Club's online calendar to see what new and entertaining activities are happening in their neck of the woods. The Common at Cape Fear Station is a secluded respite in an otherwise populated community, and is an engaging spot for visitors to relax with nothing but the sound of overhead birds and distant ocean waves in the background. 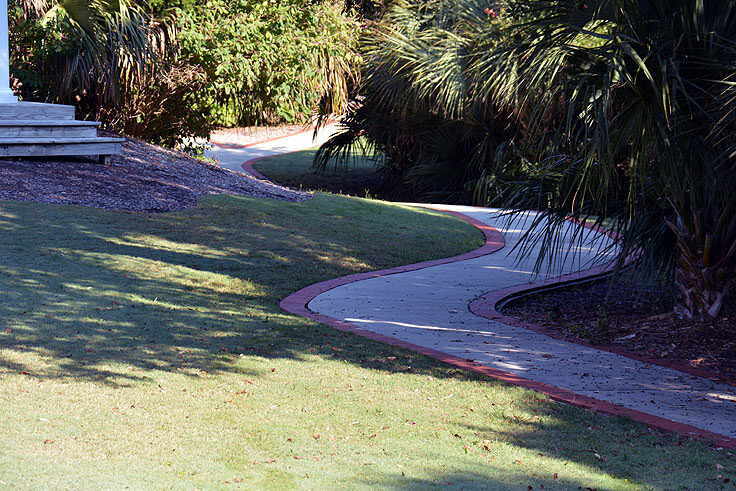 A fantastic locale for walking, bird watching, picnicking, family activities and special events hosted by the local club, this small parcel of wooded paradise, bordered by the stately beach homes of the Cape Fear Station development, is just another example of why Bald Head Island is considered a naturally beautiful island retreat.